Sesame Street: Friends to Count On! Take your favorite friends from Sesame Street with you wherever you go with this fun storybook and hand-held image projector! Go on a learning adventure with all of your friends on Sesame Street in this fun storybook and portable movie projector. The handheld image projector contains 20 fun images that go along with the story to light up against a wall. As children read along with the story, they can follow the noted prompts to use the CarryAlong projector to display corresponding character images on the wall. Kids will have a blast while learning, and little ones can take the portable projector with them wherever they go! 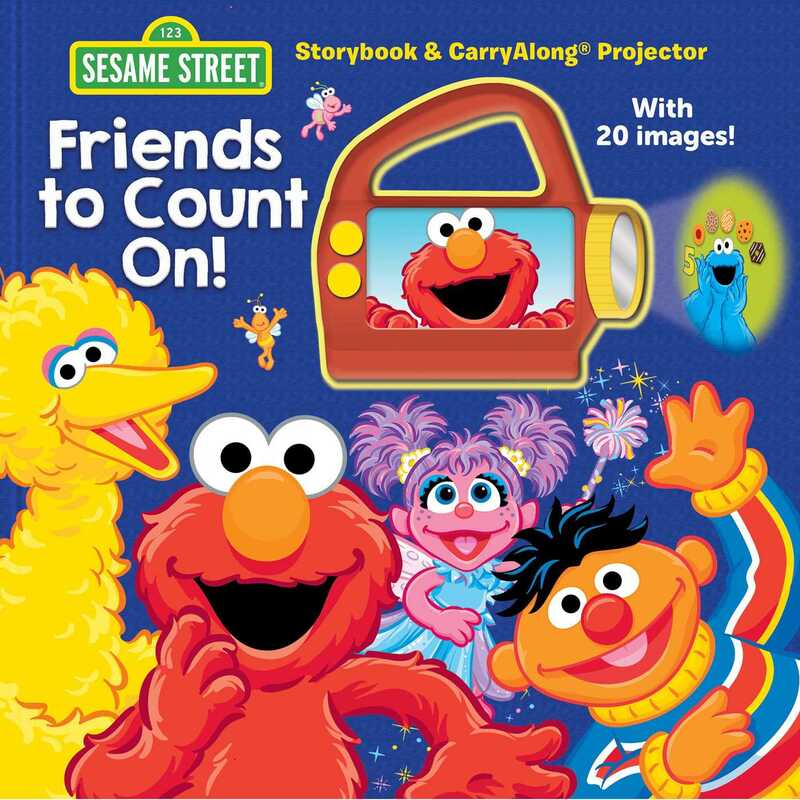 Book Cover Image (jpg): Sesame Street: Friends to Count On!